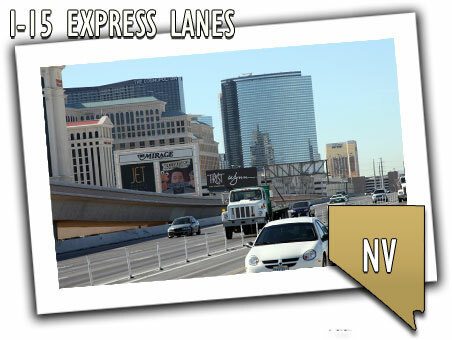 Drivers are cruising along a 5.5-mile stretch of Interstate 15 south of Las Vegas -- the region's busiest freeway and once a notoriously congested route -- thanks to the innovative traffic solution completed by the Nevada Department of Transportation ahead of schedule in December 2009. NDOT and its contractor, North Corridor Constructors (a joint venture between CH2M Hill and Las Vegas Paving Corp.), built a fifth lane in each direction using the existing shoulders -- therefore requiring no additional right of way. The two left lanes were then converted into express lanes, separated from three general-use lanes by pavement striping and three-foot-high "candlestick" delineators. As a result of the $250 million project, through traffic can now make the trip from Russell Road to Sahara Avenue in the express lanes, greatly reducing weaving, merging, and congestion. The highway improvements also have decreased emissions from idling vehicles, improving air quality and fuel efficiency. Bridges, lighting, landscaping, sound walls, and intelligent transportation systems were improved to help enhance traffic flow.